As good as Furman was over the first 16 minutes of the second half Saturday against Samford, a wretched final four minutes sank the Paladins. The Bulldogs ended the game on a 14-2 run over the final 3:41 to pull out a 75-73 win before 2,300 fans at Timmons Arena. The win snaps Furman's 13-game home winning streak dating back to last season as the Paladins fall to 16-5 overall and 5-4 in the Southern Conference. Furman had turned what was a nine-point deficit in the final seconds of the first half into a 71-61 lead on Matt Rafferty's layup with 4:21 left. While Samford sliced the lead to 71-70 with 2:06 to go, the Paladins still appeared to be in good shape when Rafferty was intentionally fouled with 21 seconds left. Rafferty hit both free throws to make it 73-70. After getting fouled two seconds later, the front end of Jordan Lyons' 1-and-1 free throw rolled in-and-out no good. It took all of five seconds for Samford to grab the rebound and streak down the court for a layup to cut the lead to 73-72 with 14 seconds left. As Samford applied full-court pressure, Lyons had to come close to Andrew Brown to get the ball on the inbounds play and the back of Lyons' foot touched out of bounds turning the ball back over to Samford. The Bulldogs' Robert Allen drilled a 3-pointer with 5.4 seconds left. With no timeouts, Furman raced up the court and Lyons looked to get a 3-point attempt up at the top of the circle. But as Lyons went up to shoot, he lost control of the ball as the final buzzer went off. "It's a tough one, but you've got to give Samford credit. I thought they came out with great energy. They came out as the aggressor in the first half for sure," Richey said. "I thought we came out of halftime and played the game the right way. We had a good 15 or 16 minutes there and then it fell apart at the seams in those last four minutes." Samford (12-10, 3-6) entered Saturday's game less than 48 hours removed from a heartbreaking 107-106 overtime loss at the buzzer at Wofford. The Bulldogs blew a six-point lead with less than 30 seconds left in Spartanburg and found a way to lose despite shooting 66.7 percent from the floor, including 73.3 percent on 3-pointers, and 95 percent from the foul line. There were no lingering affects for Samford on Saturday though. The Bulldogs built a 39-30 lead before Rafferty's layup with seven seconds left in the first half cut the deficit to seven at the break. They did so thanks to the stellar play of point guard Josh Sharkey, who had 17 points, four assists and three steals in the first half. Perhaps most importantly, Sharkey's elusive, speedy play helped saddle Furman point guards Alex Hunter and Tre Clark with three fouls apiece in the first half. "It hurt us, but that's on us. There weren't any schematic changes we made at halftime to our ball-screen coverages," Richey said. "It's not what we do, it's how we do it. In the first half, we were just a half-step slow. We didn't have active hands and only had 10 deflections by halftime." Six straight points on two layups and a dunk by Clay Mounce to open the second half cut the deficit to one, but the Paladins really gained control when they finally got hot from the perimeter. Furman was 3-of-16 on 3-pointers when Brown hit one with 12:30 left to cut the lead to 47-46. Then Noah Gurley hit one. Then Hunter hit one. Then Lyons hit one. After Lyons missed one, Gurley got the offensive rebound and it led to a Rafferty three-point play which gave Furman its first lead since 2-0 at 58-57 with 8:48 left. When Lyons pulled up in a 1-on-4 fastbreak and popped a 3-pointer with 7:59 left to push the lead to 63-57, the home crowd went nuts as Samford called timeout. But after that incredible high in which Furman hit 5-of-6 shots from beyond the arc, the Paladins missed their final nine 3-pointers. After Rafferty's layup with 4:21 left, Furman went 0-for-7 from the floor, including six 3-pointers, and suffered three costly turnovers. "You've got to close games and be precise in your details late," Richey said. "We just had about four or five things ... where you've got to make sure those plays are made when you can control them. "Those (3-pointers) are what we practice and what we do. I thought we had three looks to push the lead and I didn't think any of them were necessarily bad looks. It's one of those things where if you make it and push the lead to 13, then all of sudden we're probably sitting here (in postgame) pretty happy right now." While the final four minutes were particularly tough for Lyons, Furman would've never been in position to win without his defense. Lyons proved to be the only Paladin who could stay with Sharkey and limited him to four points on 2-of-10 shooting in the second half. "We're not back in that game if Jordan doesn't come out and play the defense he played in the second half," Richey said. "We couldn't guard Sharkey in the first half. Nobody could. Jordan's intensity and his defense, along with Matt Rafferty and some other guys, that's what turned that game around. "We didn't have the right collective mentality defensively tonight and that's on me, but he did and I was proud of him for that. There's a multitude of reasons why we didn't get this done." On a day that Rafferty was honored for surpassing the 1,000-point mark in his career, the loss spoiled another awesome stat line for the senior. Rafferty had 21 points, nine rebounds, seven assists and five steals to lead the Paladins. Gurley finished with 15 points and seven rebounds, Mounce had 13 points and seven rebounds, while Hunter had 11 points, six rebounds, four assists and managed to not foul out. Sharkey, who was coming off a 19-point and school record 16-assist performance at Wofford, finished with 21 points, 12 assists and three steals Saturday. Richey said Sharkey also disrupted at least "three or four plays" designed to go to Rafferty inside due to his ball pressure denying the entry pass. After blowing a 10-point lead late in the second half Saturday, next up for the Paladins is a road trip to the place where they blew a 17-point lead late in the second half last season. Furman travels to Charleston to face Citadel at 7 p.m. Thursday. That will begin a three-game road trip. "We've just got to learn from it. In every loss, there's a bunch to learn. This one is going to be tough to watch," Richey said. "In those last four minutes, Samford made some shots but man, we absolutely shot ourselves in the foot in a lot of different ways." SPARTANBURG - In a matchup of Southern Conference heavyweights, Furman and Wofford traded blows all night. In the end, the Terriers' Storm Murphy landed the knockout punch. Murphy's 3-pointer with 17.5 seconds left snapped a tie and lifted Wofford to a 59-54 win before an electric sold-out crowd of 3,400 at Richardson Indoor Stadium. Neither team managed to shoot 40 percent from the floor in either half, including a 9-for-27 showing (33.3 percent) by Furman in the second half. The Paladins somehow had a chance to win despite going more than six minutes without a field goal during a 10-2 Wofford run after halftime. Each teams' biggest lead was five points. They stayed within striking distance of each other thanks to a phenomenal defensive intensity that lasted all night. "There was nothing easy tonight on either end. ... I couldn't be more proud of our effort," Furman coach Bob Richey said. "Since I've been here, it's the first one I remember coming over here where we had the lead late with a chance to win it. Not that that's satisfying, but I'm not blind. I watched a group that absolutely laid it out on the line tonight. "They (Wofford) made the play down the stretch and we didn't, but man it was a heck of a college basketball game. ... Storm made a big shot. You've got to give him his credit." The game lived up to every bit of the hype as the teams traded the lead 15 times and were tied eight times. Perhaps the biggest key matchup entering Saturday was between the teams' outstanding big men. 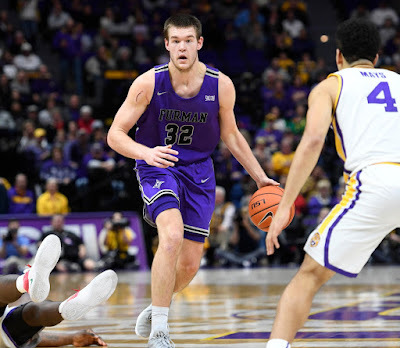 While Furman's Matt Rafferty got the best of the one-on-one meeting against Wofford's Cameron Jackson, it was Jackson who got the last laugh. Rafferty scored Furman's last 11 points of the game, including a layup that gave Furman a 54-52 lead with 1:01 left. Wofford called timeout and pulled off a great play coming out of it. Jackson got the ball near the top of the key and appeared he was waiting to hand off to a guard. Instead, Jackson spun and had wide-open lane to the basket for a game-tying dunk with 55 seconds left. "We knew they were going to try to go to Cam because it was two-point game," Richey said. "We chase Fletcher (Magee) out, obviously, to the corner so it was a good design on their part. Cam gets the catch clean. They go with the handoff and fake it, but then we have no backside help. ... For the most part we had a guy there all night and on that play we didn't. That's connectivity. "It looks like a great draw-up and it was. You've got to give them credit, but if we're playing connected like we're supposed to be we've got a guy on the mid-line and all of a sudden we can guard it. Good design on their part, but also a tough missed assignment that late in the game on our part." After Jordan Lyons missed a 3-pointer with 44 seconds left, Jackson got the rebound and that led to Murphy's 3-pointer. On the Paladins' possession, Clay Mounce's 3-pointer bounced off no good. The rebound hit off Wofford's Keve Aluma out of bounds, but Andrew Brown was whistled for a foul with 2.7 seconds left. After Aluma missed the front end of a 1-and-1 free throw, the ball nicked off Jackson with 0.7 seconds left. Rafferty's long inbounds pass hit out of bounds before Lyons could get to it, turning it back over to Wofford. Jackson scored at the buzzer to push the final margin to five. The Terriers (15-4) maintain their hold on first place in the SoCon at 7-0. 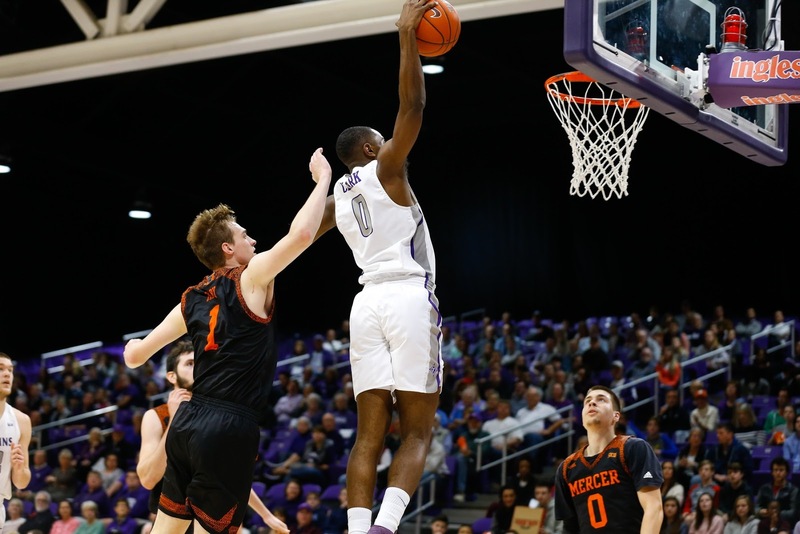 After its third road loss to the anticipated "upper tier" of the league, Furman (15-4) falls to fifth place at 4-3, one game behind Chattanooga, who visits Timmons Arena on Thursday. "I told the team that this should give us more hope and more determination. We were able to endure a lot and the shots didn't fall like we'd like, but we stayed with our effort," Richey said. "I saw that look of determination and we had that spirit that we're ready to fight. "You can't always control if you're going to make shots - especially on the road. But you can always control your energy and how hard you're going to fight." Rafferty finished with 23 points and eight rebounds, while also drawing eight fouls. Lyons and Brown each had 10 for Furman. Fletcher Magee was the lone Terrier with more than seven points as he scored 22. GREENSBORO, N.C. - A day in which Furman shot 52.9 percent from the floor, including 10-of-18 3-pointers (55.6 percent), was wasted Saturday. The Paladins committed a season-high 21 turnovers and allowed a season-high in points as UNCG claimed an 89-79 win before a crowd of 3,157 at the Greensboro Coliseum. Furman (15-3, 4-2 Southern Conference) hit 6-of-8 3-pointers in the first half and shot 58.3 percent from the floor, but trailed 41-37 at the break. That was primarily due to the seemingly never-ending love affair NCAA officials have developed for offensive fouls. While the Paladins beat UNCG's press quite a few times only to hit the deck on drives to the basket with no whistle, they were called for five offensive charges. That accounted for nearly half of the Paladins' 11 turnovers in the first half. In the second half, Furman had only itself to blame. 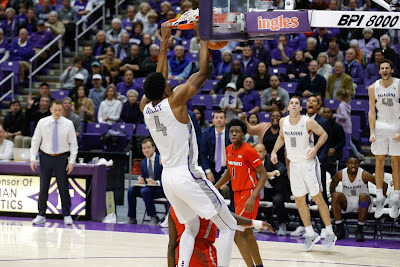 While there was one controversial charge call against Alex Hunter late, the Paladins' other nine turnovers came on a collection of sloppy ball handling and poor passes. Allowing UNCG to collect 14 offensive rebounds and shoot 51.6 percent from the floor didn't help. "We scored 79 points with 21 turnovers, which is a little incredible," Furman coach Bob Richey said. "If we value the ball better, we're probably scoring in the 90s and winning the game. "But that was secondary to the lack of defensive effort that we showed consistently through the possession. When you're playing good offensive teams with a lot of weapons, you've got to be dialed in and focused the entire possession." After falling behind by 10 just over five minutes into the second half, Tre Clark got free for a dunk and once again started a Furman rally. The Paladins cut the UNCG lead to two on three different occasions. The last coming on another Clark dunk that made it 61-59 with 9:13 left. It was the Spartans who were sparked after that Clark dunk however. UNCG drilled four consecutive 3-pointers to push the lead to 73-61. Meanwhile, Furman went more than four minutes without a field goal during that stretch. The Paladins cut the lead to five twice including 81-76 with 1:13 left on a Hunter layup. Jordan Lyons then came up with a steal but turned it back over to UNCG. The Spartans (15-3, 4-1) hit 6-of-6 free throws in the final minute to wrap up the win. "When you're playing a team that gets in a rhythm and they're making shots, one breakdown (defensively) is all it takes," Richey said. "They do something unique with their point guard crashing the glass. We don't deal with that a whole lot, but it's something we didn't do a really good job dealing with. "Whether it's the rebounding, the defense, the open 3s or the turnovers, we didn't have the mental focus that you've got to have when you go on the road." Matt Rafferty had 22 points, 10 rebounds and five assists to lead the Paladins. He was 10-of-10 from the foul line as Furman hit 15-of-17 free throws. Lyons had 16 points, while Andrew Brown scored 14 off the bench of for the Paladins. Isaiah Miller had 25 points and four steals to lead the Spartans. Miller hit the first two of those four straight 3s in the second half that sparked UNCG. Richey said the early offensive fouls and the game itself will serve as a learning experience for the Paladins. Richey said Furman tried to take too many shots to the rim rather than making an extra pass for a more open look. "Our pass count today was 205. That's really, really low for us," Richey said. "When they (UNCG) fly around and rotate aggressively like that, if you can get the ball out you can get wide-open looks. "Nobody likes to lose, but it will continue to reveal some things in this early stretch and there's a long way to go. ... We've got to go get better this week and get ready for another battle in Spartanburg. 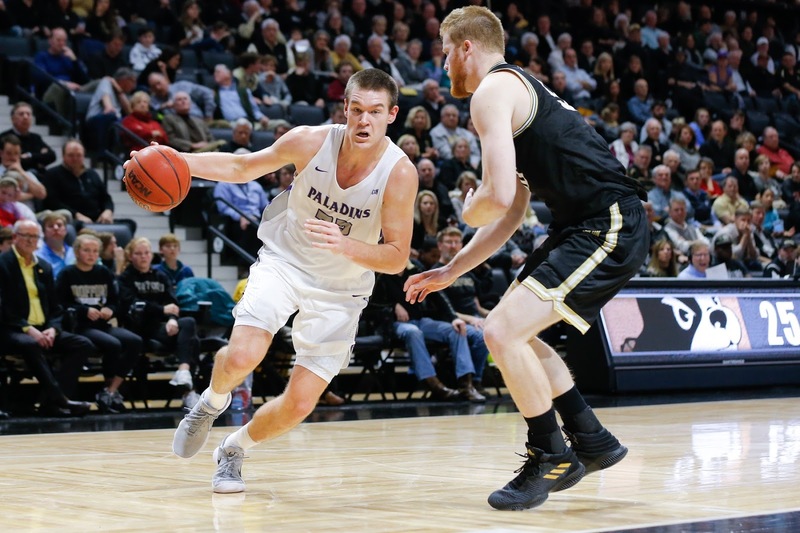 Furman next plays at Wofford next Saturday at 7 p.m.
After making its longest trip in the Southern Conference to VMI, the Furman men's basketball team got off to slow start offensively Thursday night. Five minutes into the game, Furman had seven points. That pace actually slowed down over the next five minutes, as the Paladins totaled 12 points at the 10-minute mark. But here's the thing - Furman never trailed. Once again, the Paladins proved one of Coach Bob Richey's favorite sermons right: playing hard defensively will lead to good things offensively. After scoring 21 points over the first 16 minutes Thursday, Furman scored 68 over the final 24 to roll to an 89-57 win. It's the most lopsided home loss for VMI since the Paladins last trip to Lexington, which resulted in an 87-57 win for Furman on Dec. 30, 2017. "Knowing that defense has to be an every day deal, that's where this group has really grown in the past couple of weeks," Richey said. "Our focus has to be on the defensive end. 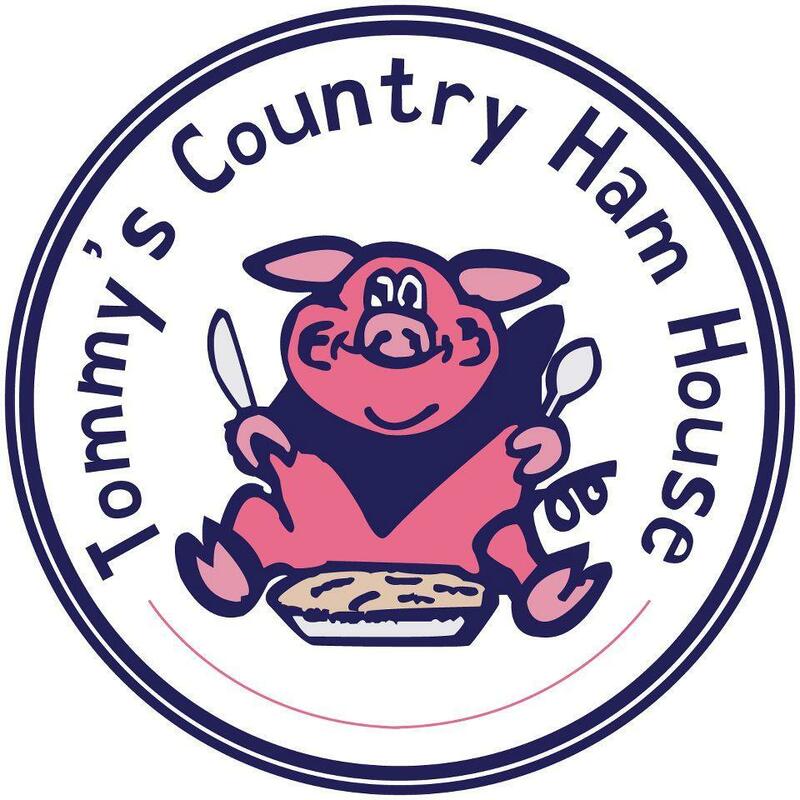 It's where it starts for us. You just have to trust it that if you continue to get stops, eventually the offense will come." Nowhere was Furman's defensive effort more evident than in the stat line of SoCon leading scorer Bubba Parham. Parham, who scored 35 points in VMI's 10-point loss at Kentucky earlier this season and was averaging 21.9 points per game, was held to a season-low six points Thursday on 1-of-6 shooting from the floor. Parham was shut out in the scoring column until hitting a trio of free throws with 6:41 left. Furman was already up by 26 points by that point, and Jordan Lyons and Matt Rafferty had already checked out for the night. "Alex (Hunter), Jordan and Tre (Clark) on the perimeter right now are so locked in on defense, it's really given us a huge boost out there," Richey said. "But that was definitely a team effort to hold (Parham) to one field goal the entire game." 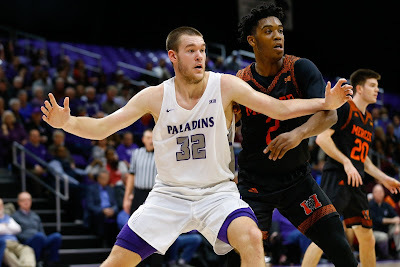 While Furman (15-2, 4-1) played superb defense all night, the slow start on the other end left the Paladins with a 21-18 lead with less than four minutes to go in the first half. That's when Tre Clark threw down a dunk. And as if by clockwork lately, a big play by Clark started a Furman run. The Paladins outscored the Keydets 17-3 over the next 3:02 before VMI (6-10, 0-4) got a banked 3-pointer in the final seconds to leave Furman with a 38-24 lead at the half. 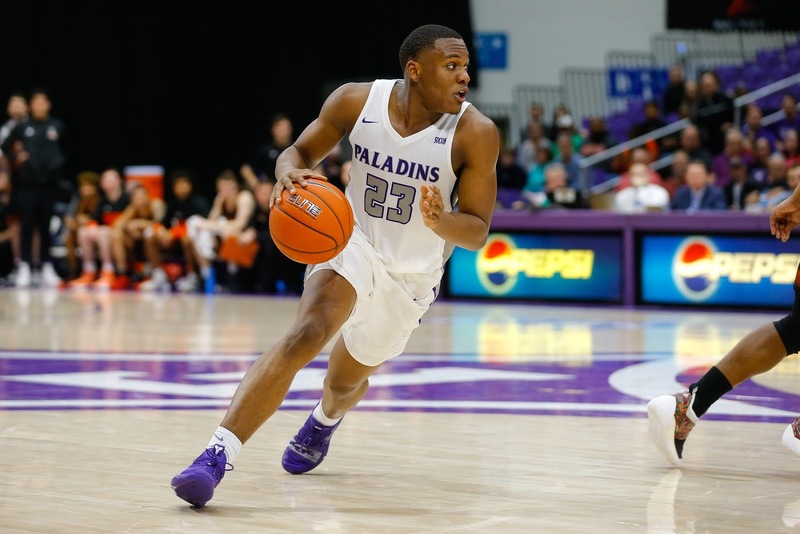 The Paladins opened the second half with a 7-0 run over the first three-and-a-half minutes, and the Keydets never got within 15 the rest of the way. Furman enjoyed an blowout win despite not getting a made field goal from Rafferty until the 16:53 mark of the second half. The attention Rafferty received from VMI's defense opened plenty of other things up for the Paladins, who hit 15-of-34 (44.1 percent) 3-pointers. Furman also drained 16-of-17 free throws. "If you want to try to limit Matt's field goals with second and third defenders, that's a decision that teams are going to have to make," Richey said. "But I think what you saw tonight was a lot of uncontested 3s from the perimeter because of it. ... Those came because of his unselfish play and his ability to handle multiple defenders." Lyons scored a game-high 21 points to lead five Paladins in double figures. Clay Mounce had 16 points, six rebounds, three assists and no turnovers. Clark and Andrew Brown scored 13 and 11 points, respectively, off the bench, Rafferty finished with 10 points, six rebounds, five assists and tied the school's single-game record with seven steals. Furman finished with 11 steals as a team as it forced 18 turnovers. 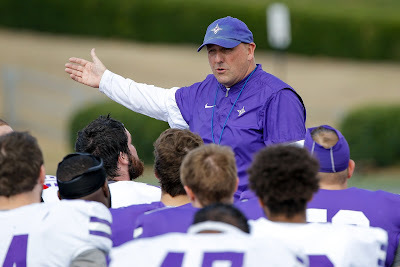 No Paladin played more than 30 minutes, which could provide a boost with Furman set to return to action less than 48 hours from the VMI game. The Paladins visit UNCG Saturday for a 5 p.m. tip. Nearly 50 games into Bob Richey's head coaching career, it's been a heck of a ride for Furman's second-year coach. Among active Division I men's basketball coaches with at least one full season under their belt, Richey's .755 winning percentage (37-12) ranks seventh best in the country. You may have heard of the top six: Mark Few (.821), Roy Williams (.788), John Calipari (.779), Mike Krzyzewski (.766), Bill Self (.766) and Eric Musselman (.760). Richey has done a lot in a short time as head coach, but as the legend John Wooden once said, "doers make mistakes." Good coaches find ways to live and learn from those mistakes. Richey has no issues being transparent about them either. Following Furman's 101-85 win over Citadel Saturday, Richey admitted a mistake he made with sophomore guard Tre Clark a week earlier. In Furman's loss at ETSU on Dec. 29, Clark didn't scratch in any stat category in just seven minutes playing time off the bench. It was the only time this season that Clark didn't log double digits in minutes played. "It was a major, major mistake on my part in how I handled him last Saturday in Johnson City," Richey said Saturday. "It's a huge regret. I brought him in and made that right and he's been a huge piece of both of these wins." 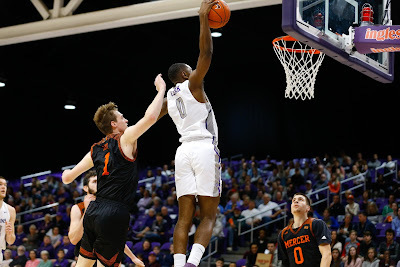 On Thursday, Clark had five points, three assists and a steal in 17 minutes in Furman's 71-58 win over Mercer, His two buckets that night were thrilling dunks, the second of which ignited a 16-3 second half run that put the game out of reach. In 20 minutes of action on Saturday, Clark piled up six points, a career-high nine rebounds, four steals and two assists. While Clark's No. 1 asset when it comes to basketball may not exactly be shooting, he was 2-of-4 on 3-pointers Saturday raising his season average to 44.4 percent (8-of-18). Perhaps most importantly Saturday, Clark helped hold Citadel's Lew Stallworth - who had 23 points and six assists - without a point or an assist over the final 7:44 of the game as the Paladins pulled away. "I've done this (coaching) for 13 years now. I'm not sure I've seen somebody grow in six months the way he has," Richey said. "I brought him in Monday and asked him to play backup point. ... He goes out there and hits two 3-pointers. He defends Stallworth. He handles the ball against the press. His growth, demeanor and confidence is just unbelievable." Teammates have noticed what Richey and the coaching staff has as well. When a guy playing reserve point guard can come off the bench and grab nine rebounds, that just makes life easier for post players like Matt Rafferty. "People are starting to notice what a difference Tre's making," Rafferty said. "He's an every day guy ... who does all the little things. He's a good guy to have on your team and you hate to play against him." Richey firmly believes that great work on defense gets rewarded. He has a phrase that he said he's told Jordan Lyons over and over this season: "focus on D, you'll still hit the three." Lyons proved his coach right on Saturday. After hounding Citadel sharpshooter Matt Frierson all day and holding him to a season-low three points, Lyons had 14 of his 17 points in the second half as Furman outscored the Bulldogs 58-39 after halftime. Lyons really found his offensive zone down the stretch. His 3-pointer with 7:27 left started a run that saw the Paladins turn a six-point lead into a 22-point lead five minutes later. That he was on the court to begin that run, speaks to the confidence and trust he's earned from Richey. "He walked up to me with about 8:30 to go, looked me square in the face and said, 'I don't need to come out. I'm good the rest of the game.' I'm not arguing with him because I can see the look, the confidence, the intent and his energy and where it's at," Richey said. "He knew his rotational turn was coming and I looked at the staff and said, 'leave him.' Sure enough, he hits the big three and gets the layup." Lyons had six points and two assists during the spurt. "As much as we talk about Matt and all the great pieces that we have, nobody has the ability or personality to spark our team like Jordan can," Richey said. "When he plays with that spark, you can just feel it. "He's just got one of those magnetic personalities and when he channels it all in the right direction and goes out there and plays as hard as he can, it's amazing the impact it has on our team." Timmons Arena has been hopping all season thanks to Furman's 12-0 start this season. After coming back home following the Paladins' lone two losses and with students still on winter break last week, one had to wonder how if it all might affect attendance. The answer was a resounding none. Thursday's game drew 1,753, while Saturday's rivalry game generated a sellout crowd of 2,462, who saw Furman win its 12th consecutive home game. "I don't have any stats to back this up, but I think it's safe to say that was the best environment in the history of the program with no students around. I think that's important because it played a factor in the game today," Richey said Saturday. "It's another measure of growth in the program and what we've been able to continue to progress with here. "Just to be able to play games with energy like that with the community and support here ... it's a phenomenal deal." When facing a frenetic offense like The Citadel's, opponents are bound to give up some offensive rebounds simply because of the long ones produced by the many 3-pointers that are launched. But that wasn't the case for Furman Saturday. Despite the Bulldogs missing 29 shots from beyond the arc, they had only three offensive rebounds - none of which came after halftime. That's the fewest offensive rebounds for Citadel since it's season-opening loss at Clemson. 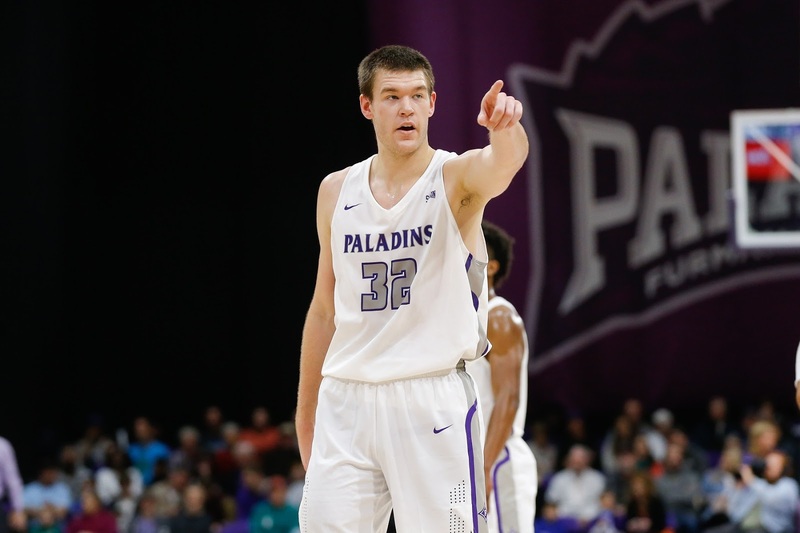 That rebounding effort was a big part of a dominant second half by the Paladins as Furman pulled away for a 101-85 win before a sellout crowd at Timmons Arena. The Paladins outrebounded their biggest rival 53-28 for the game. In the second half, Furman (14-2, 3-1 Southern Conference) had more offensive rebounds (11) than Citadel had total rebounds. The Paladins had 30-10 rebounding edge overall after halftime. "It was a big emphasis that 'we can't go until we get it.' ... It's just a mentality and I thought we came with it today to hold them to at least one (shot). 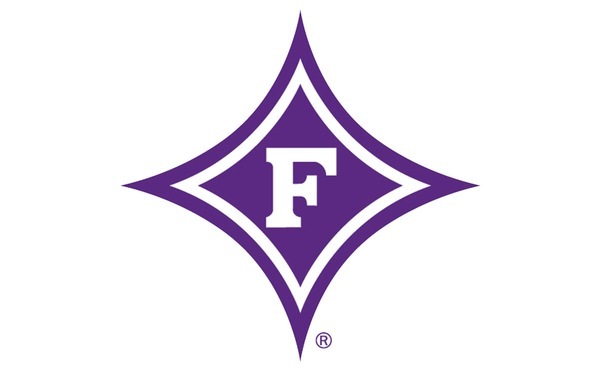 That was going to allow us to be able to get out in transition," Furman coach Bob Richey said. "It was a phenomenal basketball game. Citadel was hitting everything in the first half and it was back-and-forth. "For us to play four halves in a 72-hour window and have to play against that pace in the second game, for our fourth half to be the best one of those four is a statement of the character of this group." Matt Rafferty made all six of his field goal attempts in the first half on his way to a career-high 28-point night to lead the Paladins. He also had 12 rebounds and three steals. One of the most important contributions Rafferty made Saturday didn't really show up in the boxscore though. "The reason we were able to handle their press is because I was crazy enough to put our five-man (Rafferty) in press offense," Richey said. "Usually against presses, you're going to see a two-guard front but I've got my five-man out there taking the trap. He's making all the right reads through it, which allowed us to be able to have our best handlers and decision makers up and we were able to get pretty good shots behind it." Rafferty was one of five scorers in double figures for Furman. Jordan Lyons had 17 points, Noah Gurley and Clay Mounce each had 15 and Alex Hunter scored 13. Mounce and Gurley tied their respective career-highs in rebounds with 13 and eight, respectively. Tre Clark also had a career-high nine rebounds - six offensive - in just 20 minutes off the bench. Clark also had six points, four steals and two assists. "We did a good job of boxing out and our guards did a great job of rebounding down, helping the bigs out," Rafferty said. The first half was a back-and-forth contest that had six ties and 10 lead changes. The Bulldogs (9-5, 1-2) went on an 8-0 run over the final 1:15 to take a 46-43 lead into the break. The last tie of the day was snapped on Lyons' 3-point play with 16:23 left that gave Furman a lead it never relinquished. The Paladins held a 79-73 lead with less than eight minutes before a big final run helped put the game out of reach. Lyons' 3-pointer with 7:27 started an 18-2 run. Lyons capped the spurt on a free throw with 2:18 left that pushed Furman's lead to 97-75. "We knew there was going to be spurts in the game where they were going to make runs. We knew we just had to stay with it through the highs and lows. If they made a run and hit a couple of 3s, we had to keep a positive mentality," Lyons said. "Down the stretch, we did a good job of sticking together and extending the margin." Some of Furman's defensive success went beyond the rebounding dominance. That was highlighted by Lyons' effort on Citadel sharpshooter Matt Frierson. Frierson entered Saturday's game averaging 16.5 points per game and No. 2 in the nation with 4.8 made 3-pointers per game. On Saturday, Frierson was held to three points on 1-of-5 shooting, all from beyond the arc. Citadel graduate senior Lew Stallworth was a beast for much of Saturday, driving his way to the basket for tough shots for much of the game. While he finished with 23 points and six assists, none of those came down the stretch. After making a jumper to cut Furman's lead to 79-73 with 7:45 left, Stallworth had no points or assists the rest of the way as he was hounded by Clark defensively. "I thought it was one of Jordan's best defensive games of the year. He took the challenge," Richey said. "They way he chased through the hand-offs, he didn't have any lapses in his perimeter defense." After getting back on track with a pair of wins at home this week, Furman sets out on a three-game road trip starting Thursday at VMI at 7 p.m. The Furman men's basketball team got back on track Thursday thanks to perhaps the biggest pillar of the program's success the past few seasons - defense. After allowing LSU to shoot 55.4 percent and ETSU 60 percent from the floor in its first losses of the season, Furman held Mercer to 36.2 percent shooting in a 71-58 win at Timmons Arena. It's the lowest scoring output this season for the Bears, who finished 4-of-19 on 3-pointers after hitting just one of their first 15 attempts. Mercer leading scorer Ross Cummings, who entered Thursday averaging 14.6 points per game and making 39.4 percent on his 3-pointers, had 10 points and was 1-of-5 from beyond the arc. "It all started tonight on the defensive end. We got some stops and got out in transition a little bit," Furman senior Matt Rafferty said. "They got a few offensive rebounds that kind of kept them in the game in the first half. We got off to a bigger lead in the second half and tried to handle their pressure. A few things didn't go our way there, but we bounced back and ended the game strong. "Cummings is a great player and Alex Hunter and Tre Clark did a great job defending him." 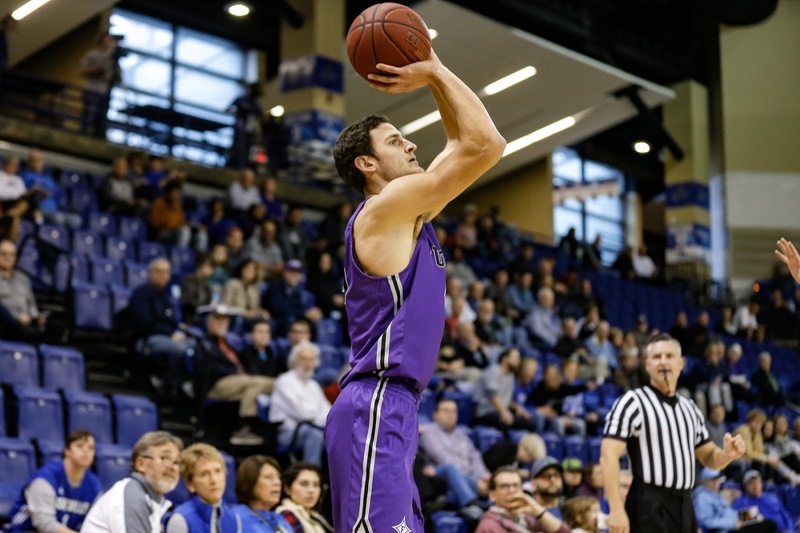 On the same night that Rafferty became the 44th player in Furman history to score 1,000 points in his career, he finished with 19 points, 10 rebounds and three steals. It's his seventh double-double this season. "I'm really proud of Matt. One thousand points, especially considering his injuries, it's incredible," Richey said. "But what I told the team, that's (1,000 points) very minimal compared to everything that he's done for this program. "I love the fact that he's scored 1,000 points, but the way that he's impacted this program, you can't even start to put words on it. You can't even come close." Richey was proud of the way his team responded to a lineup change that saw freshman Noah Gurley return to the starting lineup in place of senior Andrew Brown. The size that Gurley provides help for Matt Rafferty and Clay Mounce inside, while you'd be hard-pressed to find a better sharpshooter off the bench than Brown. All those factors were on display in the first half of what was the typical grind of a game against Mercer. After a tough two-game stretch, Mounce got a quick boost of confidence with a pair of blocks, three rebounds and a putback in the first three-and-a-half minutes of Thursday's game. Brown came in at the 15:51 mark and two minutes later knocked down his first 3-point attempt to give Furman a 14-6 lead. After Mike Bothwell's 3-pointer snapped a 19-19 tie with 5:10 left in first half, Gurley had a 98-second run of a layup, a blocked shot and two 3-pointers to give Furman a 30-21 lead with 2:11. It was only slightly spoiled by Gurley receiving a technical foul on the second 3-pointer, which was made in front of the Mercer bench. Rafferty hit a pair of free throws in the final second of the first half to stake the Paladins to a 35-26 lead at the half. "We asked some guys tonight to do some things for the betterment of the program. ... That was all to make sure we could get position on length and size where we wanted it," Richey said. "We had to get Noah out there a little bit more and get Clay at the three (position) more. ... I thought the team handled that in a really mature way tonight and it was really good to see." An unsung hero for Furman (13-2, 2-1 Southern Conference) Thursday was Clark. Mercer (5-9, 0-2) got as close as it would get in the second half, trailing 40-34 when Clark came up with a posterizing dunk. Clark's second impressive dunk of the night started a 16-3 run over the next seven-plus minutes as the Bears made no field goals from the 15:13 mark to the 6:36 mark of the second half. A pair of Rafferty free throws gave Furman its biggest lead of the night at 56-37 with 6:54 left. Five different Paladins scored in that 16-3 run. "(Mercer) is usually a slower tempo game and to get the margin to 19 and the way we did it systematically. ... It wasn't like we were on fire (offensively)," Richey said. "I just felt that we were much more connected on defense tonight." Thanks to deflections on defense and hitting three of its last four 3-pointers, Mercer chipped the lead down to seven at 65-58 with 2:25 left. After Furman ran down the shot clock on its ensuing possession, Hunter answered with a big jumper from the foul line. The Paladins hit 4-of-6 free throws over the final 1:21 to seal the win. Richey said it was a fitting end to the night for Hunter. The sophomore point guard started the game with a bandage over one eye and one knee in a brace, and then suffered a nasty fall when he slipped on the court during the game. "The game honors toughness. .... When he got to that spot, I knew he was going to make it," Richey said. "It would've been easy (for Hunter) to take (Sunday) off after you just played all those minutes the day before in Johnson City. But Sunday morning at 10 o'clock, he was here in the gym. "You can't underestimate what that does to a person, a player and a program. I trust everything that he does and I continue to ask him to do more." Gurley and Jordan Lyons scored 11 points apiece, while Hunter finished with 10. Mounce had a game-high 11 rebounds. After surviving the grind of Mercer, the Paladins will try to conquer the frenetic pace of Citadel at home Saturday at 4 p.m.